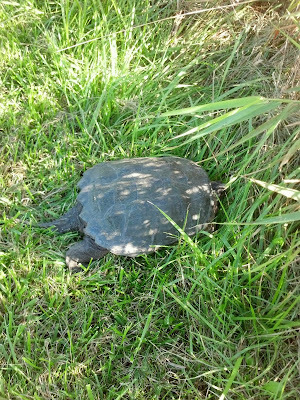 I saw this turtle Wednesday on the Paul Douglas Forest Preserve Trail. It's the biggest I've ever seen in the wild. Its shell was about a foot long. Elsewhere on the trail I saw two snakes of similar length (but slimmer). Last week I saw a coyote standing in the middle of the Poplar Creek Trail. Unfortunately, I was unable to take a picture before it disappeared into the brush. But at least I'm fast enough to photograph a turtle! * That's a line from Leonard Cohen's "Jazz Police". I recently learned that others do not share my love for that song. But I'm not really mad for turtle meat, and I did not consume the turtle pictured here. 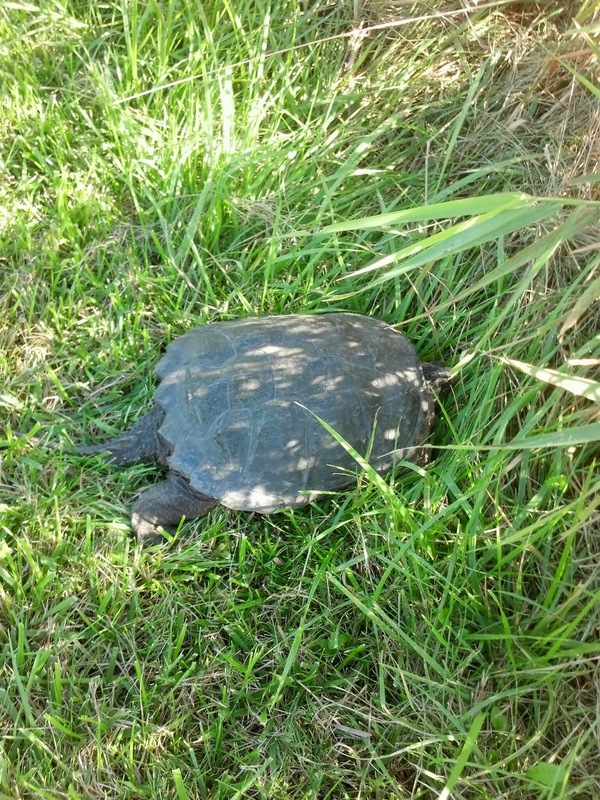 Alas I did scare the guy, as he lowered his shell and went into hiding.